First go to our online-ticket shop. 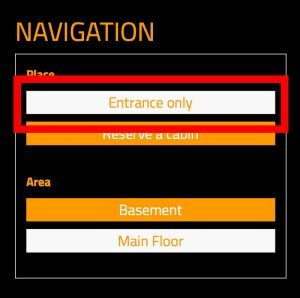 Click on the text "Click here to open the order interface in a separate window (Recommended for the sauna party tickets)"
Then please choose there the desired sauna party. 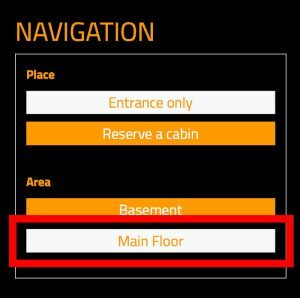 In the left navigation pane please select "Entrance only"
In the left navigation pane please select "Reserve a cabin"
For a cabin in the UPPER floor Please select "Main Floor". 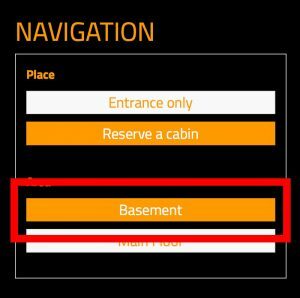 For a cabin in the LOWER floor please select "Basement". In the right pane open the appropriate plans with the cabins. 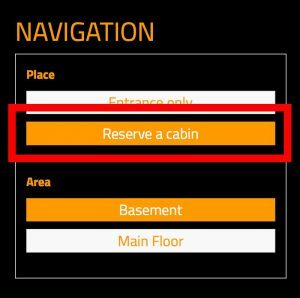 Please select the desired free cabin (double cabins including admission for 2 persons). Then just continue the ordering process as usual. If you still have questions, you can contact us HERE.